First things: Huge shout out to James Sahm and Jonathan Rajewski, both of which have taught me so much about how to perform JTAG, ISP, and Chip Off extractions (and are extremely good at performing these extractions!). My next blog post will be a mostly complete hardware bill of materials for those who may want to start putting together a lab. These TAPs need to be connected to a box that knows how to access and interpret the data. Devices such as the Riff Box 2, Medusa Pro, and Easy JTAG are just some of the boxes you can use. Like JTAG, the pins need to be connected to a box that knows how to access and interpret the data. Devices such as the Riff Box 2, Medusa Pro, and Easy JTAG are just some of the boxes you can use. Chip off extractions are performed when the above two methods are not viable. 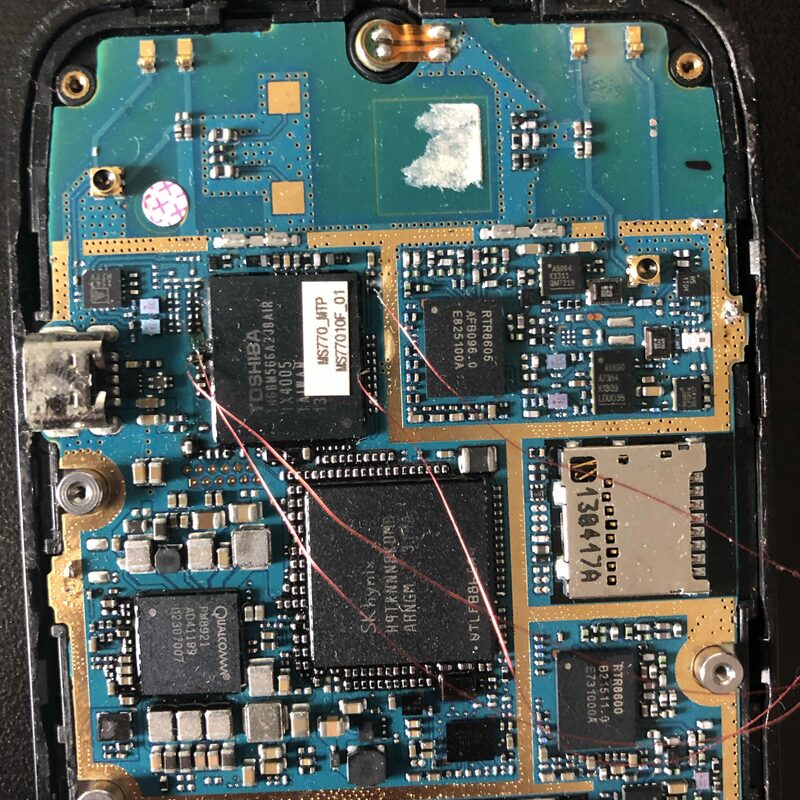 Definitely not a good idea to try this method first, as it’s unlikely you’ll be able to put the phone back together, unless you’re really good at reballing the chip. Again, works on passcode enabled devices, but not encrypted devices. There’s two methods to go about doing a chip off extraction, the first is micro milling. I have never done a micromill chip off, but it you use the mill to carve out the memory card on the device. If anyone has any informative sites that go into this method in more detail, drop a comment! Anyway, the other way to perform this extraction is to use a hot air rework station. 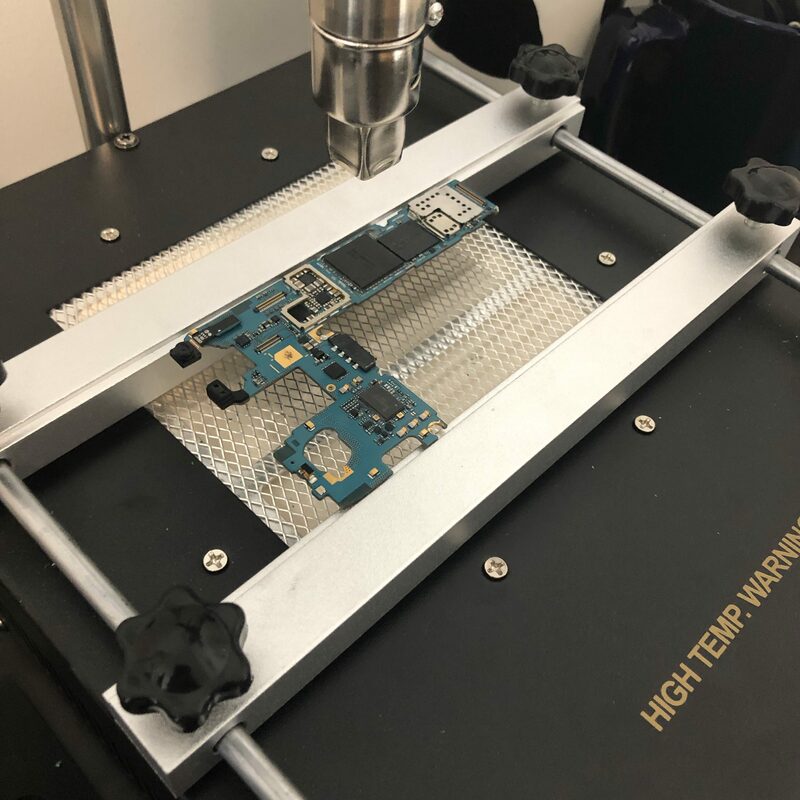 You basically place the board on the table, heat the bottom of the board to an appropriate temperature, then turn on the hot air gun to melt the solder holding the chip down. It’s more efficient to have these two points of heat, from the bottom and the top, but I have seen people do extractions using just a hot air gun. Once the chip’s solder has melted, an examiner can use tweezers to carefully remove the chip from the board. Depending on how carefully someone pulled the chip, and the temperature at which it was pulled, you can now read the data from the chip via specialized readers for that specific type of chip. If the chip comes off a little messy, you can clean the chip by using a few different methods. I’ve seen people use a copper desoldering wick, flux, and a soldering iron to clean it. Another I’ve seen is to use just a chisel tip soldering iron with flux to scrape off the chip. 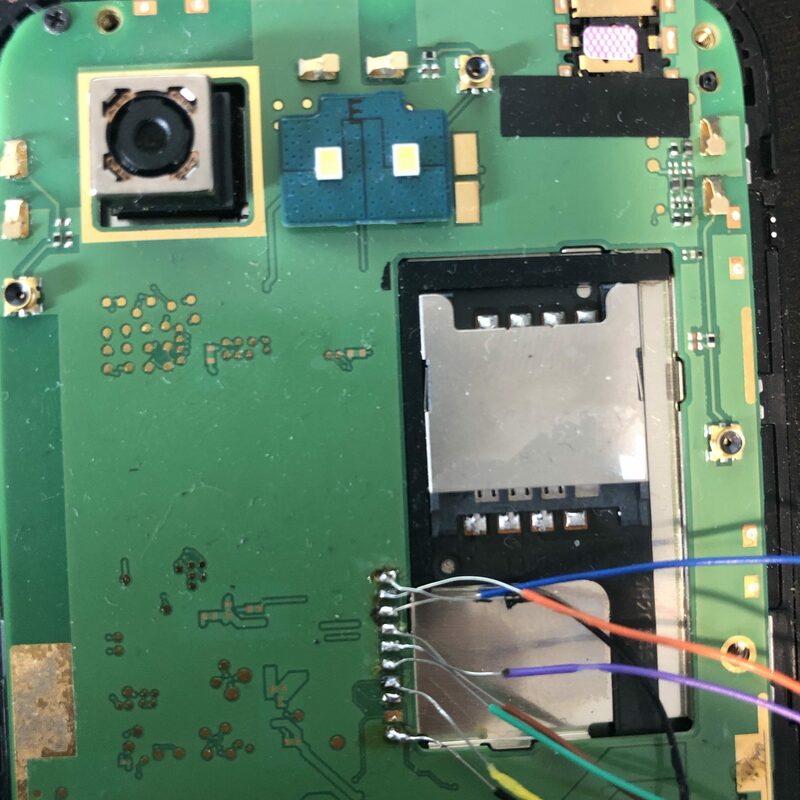 The last method I know of, which Jon Rajewski told me about, is to use a chemical solvent called Attack to remove gunk on the chip (warning: this will cause very dangerous fumes!). Thanks for reading! If you have any suggestions, questions, or if I have inaccurate information please let me know! Teel Tech – What is JTAG, Chip-off and ISP? Good post. Milling a chip isn’t so much carving it out – it’s more physically removing the circuit board from the chip by grinding (milling) it away – working at it from underneath. I use both mill and hot air in my lab. Milling is more useful if you’re dealing with something heat sensitive (like a UFS chip), or one of those phones that they decided to use a gallon of epoxy and glue on and you don’t want to leave the chip under heat for minutes.